Despite the globalisation where exchanges, trading go faster ans faster, we notice the our relationship to others keeps going quite down. Our perception is always conditioned by clichés and prejudices as racial, social or cultural stereotypes. The other has several faces : the foreigner, the outsider, the exotic one, the marginal, the different one … No matter who he is, there’s always a way to exclude him because of history, political programs, ideological theory or media propaganda. The question is not who is the other but how we construct him. How do we deform reality in order to stigmatise the other ans consequently, we can without a problem, to evict, to exploit and to persecute ? How do we keep in life categorisation (racial, sexual, economical, religious, gender, …) ? 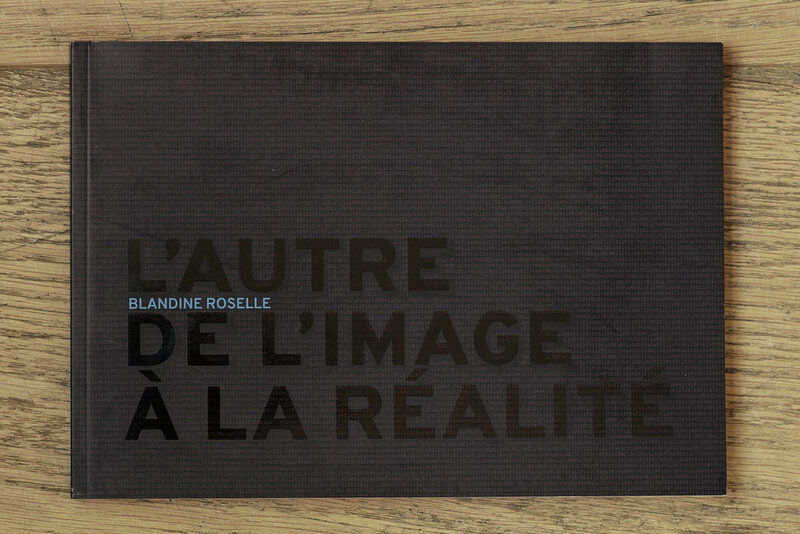 « L’Autre… de l’image à la réalité » was the theme proposed by « La Maison Populaire de Montreuil » for the elaboration of an exhibition in 2017. This year curatorial residency was proposed in three parts entitled « Vers l’Autre », « Face à l’Autre », « L’Autre Nous », taking back the method of discussion : to go to the other, to face him and to result in a better understanding of itself and of the other. At first, we had to study anthropological and ethnological dimensions, then economical and political dimensions before to take the social question up. Problematics of these three parts are set out in chapter’s introduction of this catalogue (p.12, p.46, p.96) but I would to explain again how the artists in their own way, approach, horizontal questions and social realities dependent on each other. Of course postures and methods are varying. We can categorise artists in two groups : the one directly working with communities and the one who dread the other in a moral and ethic way. The first one is show ing the way of life of precise communities, avoiding ethnocentrism, heuristic hypothesis. This seconde one is facing the several factors which intensify division, separation and opposition. Cration’s process of Nicolas Henry, Patrick Willocq, Olga Kisseleva, SUPERFLEX, Mario Pfeifer and Thi Trinh Nguyen are based on exchanges with populations from the interaction to a co-creation and collaboration. Some artists are giving a voice to the other (Henry, SUPERFLEX). Some others are questioning the posture to adopt and avoid to take a speech on (Nguyen, Pfeifer). The last one interacts and is interested in exchange itself (Kisseleva, Willocq). Most of the artists notice an acculturation which is existing on different ways. Syncretic for Patrick Willocq who proposes his artistic approach into Walé ritual defies the idea of a fix and immobile affiliation. Multicultural for Olaga Kisseleva and Nicolas Henry who reveal the difficulty on a cohesion and cohabitation. Assimilation for Mario Pfeifer and The Train Nguyen who depict societies on the verge on extinction, used by colonialism and imperialism. And then, anti acculturation for SUPERFLEX, who evokes Anjouan’s inhabitants (one of the three islands of Comoros), a tribe who has obtained its independence by contrast with the forth one, Mayotte, which is still French. The art pieces of Santiago Sierra, Pascal Marquilly, Chris Eckert, Thomas Hirschhorn, Bebdeum, Lucy and Jorge Orta, David Blandy and Larry Achiampong do not get to inter-community relationships but are more interested in to the social relationships all over the world. Their pieces scan the everyday life and explore the fields of work, medias, doctrines (techno-capitalism, neoliberalism, trans-humanism) in order to reconsider the place of humans and its value. Santiago Sierra and Thomas Hirschhorn provoke spectators’s uneasiness in order to produce their moral awareness. Lucy and Jorge Orta proceed by questioning and symbol before to lead the spectators to action and concertation. Pascal MArquilly and Thomas Hirschhorn distort media pictures, while Bebdeum metamorphoses it be he focuses on the all body, basis of human’s equality. Chris Eckert, David Blandy and Larry Achiampong use transformation of a contemporary world where ways of communication, information and expression have mutated. They question themselves about how cultural and national identities are made at the time of social networks. Beyond specific subjects and past diversity of their perspectives, all of the artists show that far from keeping its promises, globalisation is conditioning and uniforming more than preserving diversity : it’s excluding and dividing more than opening ii to the other. They break up economical, political and media mechanisms which create the other. In a wider way, Mario Pfeifer brings face to face today’s ans traditional lifestyle. He brings to opposition fishing and traditional hunt to alienating industries, the collective life to boredom, loneliness and isolation, nature to artificial cities. The city is generally depicted as an indifferent place which divide up humans and social groups in a fast and bad assimilated multiculturalism. That is what Nicolas Henry is showing us in his series about « Les Cabanes » (the end of ancestral transmissions, boundaries into urban space, break up of the other’s relationship …) or Olga Kisseleva when she’s highlighting the few interest we had to the other in our everyday life, in megalopolises (How are you ?). For Lucy and Jorge Orta, the weakening of solidarity and social links, and the disappearance of community are still tangibles and have to be reactivated. On the other hand, the colonial heritage, an economical exploitation and racial politics’s blending, is mutating but persisting. With « Engagement et arrangement de 30 travailleurs en fonction de leur couleur de peau » (litteraly « engagment and arrangment of 30 workers by their skin colour »), that minority’s exploitation that Sierra is aiming for with « 3000 trous de 180x50x50 cmchacun » (« 3000 holes of 180x50x50 cm each »), he highlights the immigrants. This denunciation of racial discrimination into a world marked by unidirectional migratory flow (south > north) is also perceptible with David Blandy and Larry Achiampong’s artwork. However they increase the scope of racism into a « both complex economical, cultural, environmental and mental ensemble « They’re questioning about persistance of racism at the age of new technologies, pop culture and globalisation : will we achieve to overcome colonialism heritage or will we do it again in an other world ? Also, the media representation is a major political issue, that’s why diverse realities are coexisting and overlapping. To denunce politico-media establishment alienating population while decreed a diversion to world’s reality isn’t new but necessary. As Sierre sums up : « the contemporary world seen by media, full of flaws and lies, and political and technological oligarchy leading the planet, subsisted to the stark reality into a comfy decorum composed by social networks, terrorism a fake democracy ». Medias strengthen disparities and contribute to humans’s opposition with partial informations broadcast. To quote Blendy and Achiampong : « their medias were talking about migrants as rats in a « wealth pit » without understanding the civilised world, its ergonomics, its beauty, its traditions and its rules ». Patrick Willocq goes against popular imagery of Africa shown by the medias which stigmatise its inhabitants. The medias also manipulate images. Thi Trinh Nguyen evokes censor with is parallel to public opinion expression’s control. Faced with toned down instrumentalised informations, Thomas Hirschhorn and Pascal Marquilly encourage us to be interested in what is omitted, hidden or not said. They defend the necessity to be remaining sensitive and look to our moral responsability. The « Pixel-Collage » declares war against the authorities concerning pictures production, refusing to accept a vision of conflicts only communicational, which enable to excuse wars and to make them acceptable. « Ombres de Chimères » (« Chimera’s Shadows ») tries to give depth again to pictures, done it in by television’s screen, superfluous and over-used. « Le Fantôme de la Raison » (« The Reason’s Ghost ») describes a scene of war (landscapes, smells, sounds, lights, bodies, objects, …) with the poem associated to the dark music of the installation. Thus, even if globalisation transformed « the inacceptable other » in an expanding market and into a political allie, the other stays the inhabitant in this other country which is not our. The judgement is conditioned by the constant flow of informations, appears through social networks : Babel explores inhabitant’s typical preoccupations of different countries. The same insecurity feelings are felt from a nation to an other. Chris Eckert highlights our emotional reactions, our selfishness, and the need to affirm ourselves. He aims at the slow evolution of our links in new ways to exchange, which keeps prejudices ans stereotypes as necessary to categorisation and marker. What would it be after ? Became similar in the physical and cultural melting pot, humans will look like a serial and marketed production. Ben-deum sets the trans-humanism, reducing the body to a straight objet. According to Ben-deum, it is denting « ou contemporary society evolution which transforming everything in a marketed product because of globalisation and an outrageous standardisation, a world whose the thirst of growth and unlimited consumption will lead to a happy autophagy ». Blandy and Achiampong nuance this vision of the future : « the post-human rejects anthropocentrism and considers human as a social and cultural construction. After modifying the human body, we changed humans but he stay human ». According to Lucy et Jorge Orta, future could be better if cooperation efforts are made and if societal problems are understood. They lead us to more indulgence, solidarity and fraternity. The artists are exhibited a space of world’s understanding. The art pieces are analysing our behaviours, our perceptions. They’re fighting against the disappearance of the other and its differences ans also against its mixtures. They’re making us self-conscient of the present and warning about the future. I would conclude with this Hirschhorn’s quote : « More than ever, today, I believe to Equality, Universality, Justice and Truth. With my art, I want to insist on this notion and include it. This is how I define my mission and to accomplish it I’m using art as a tool or as a weapon. A tool to know the world in which I am, to confront the reality in which I am and a tool to live in the time I live ». SIGN UP TO RECEIVE UPDATES !